We had nice visit yesterday from a young patient Sita Pariyar who had lived a hard difficult life with double club feet for 25 years but now see her photos!! 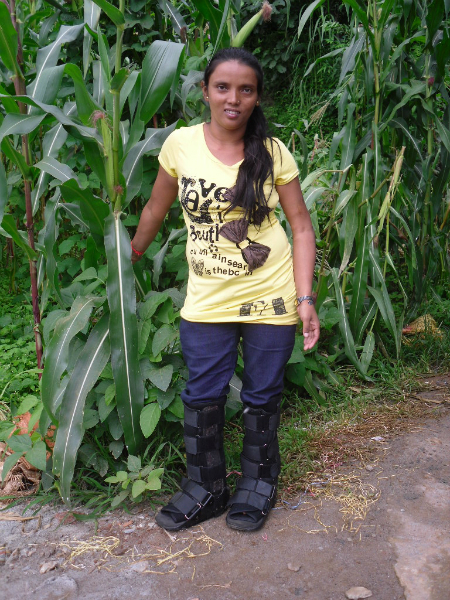 Now to help her walk better, we noticed when she arrived with the small handmade leather shoes which gave no ankle support, so we fitted her with quality UK made MOON BOOTS that MAANZ gave us and they now make her walk so nicely ! Thanks MAANZ! Her old shoes were then given to another young girl who needed them who arrived a few hours later.